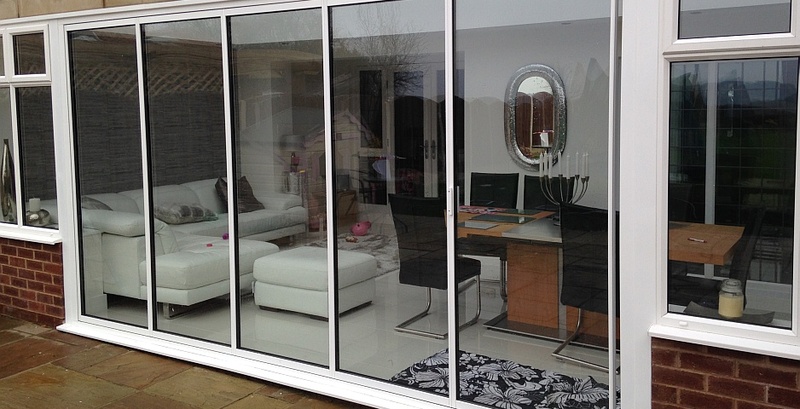 With 3,000 installations, SunSeeker UltraSlim Slide and Turn Patio Doors have proved a winner. 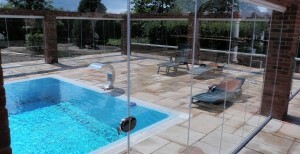 SunSeeker UltraSlim sliding doors are different. Why? 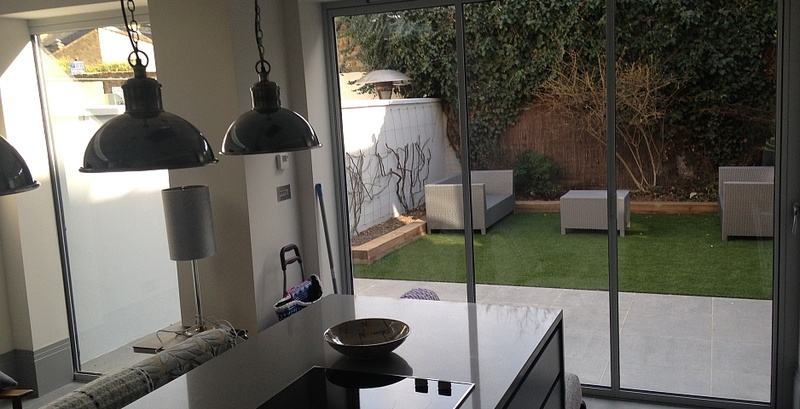 Because they look like bi-folding doors when they are open and when they are closed but they do not slide and fold. Instead, there is a main door that opens normally and each of the other doors will slide along the guides and pivot open, stacking at the side. 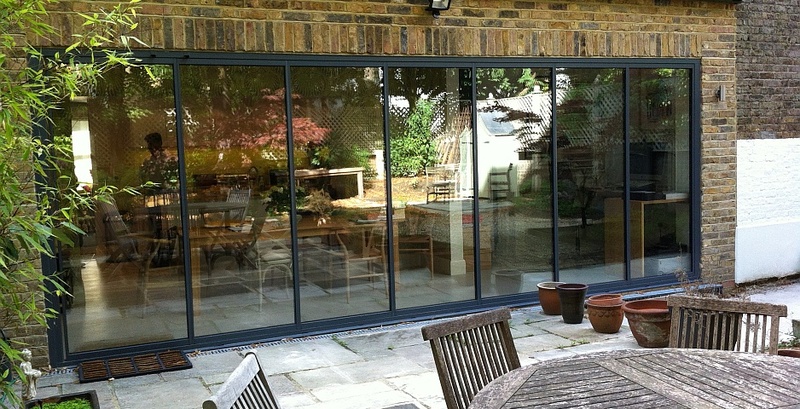 Additionally, unlike bi folding doors, you can slide each door along the guide and just leave it wherever you want to, leaving gaps between the doors to allow air flow through – see examples in our photo gallery. 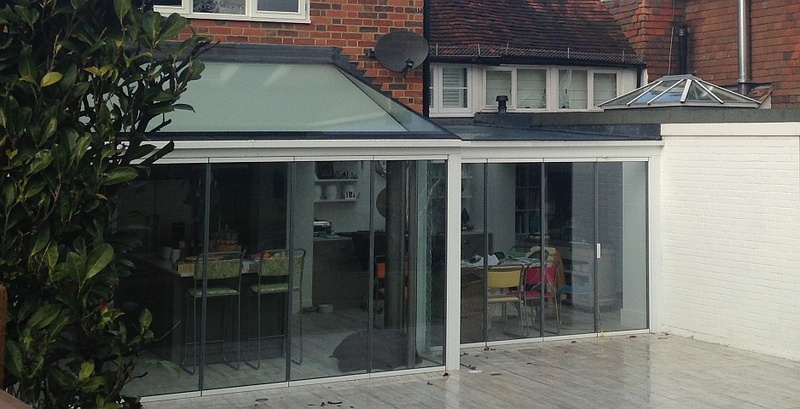 UltraSlim was first in its class as a fully retractable patio door with 19mm coated aluminium side frames and, therefore, more glass for viewing when doors are fully closed. 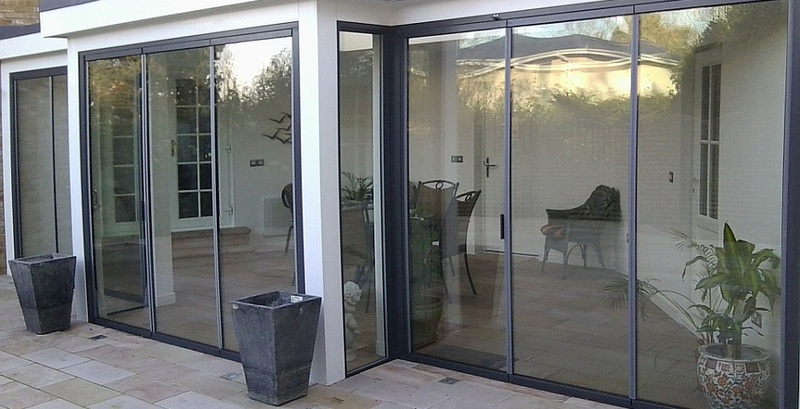 UltraSlim slide-and-pivot doors stack neatly to the side of the opening, making more space available to walk through from home to garden than with conventional sliding patio doors. 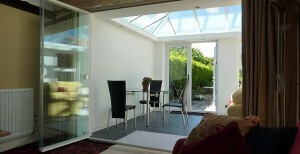 Site visit and installation included in price quoted. 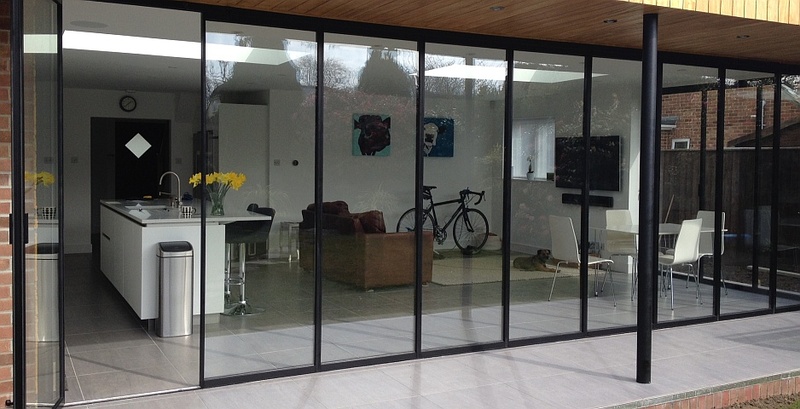 UltraSlim Patio Doors options: standard frame colours are anthracite grey or white. 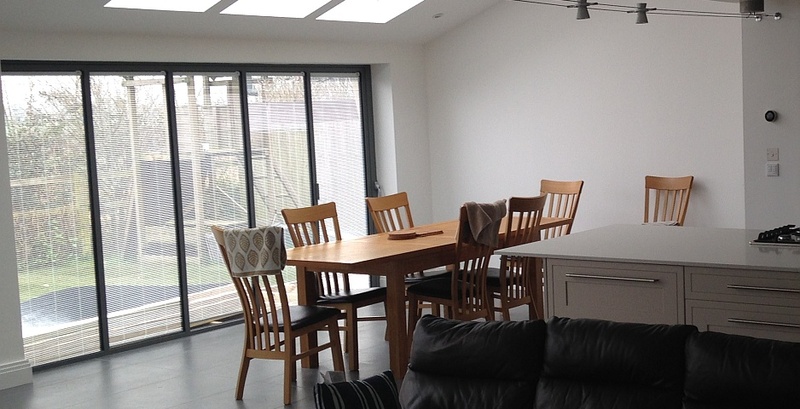 Optional extras include other frame colours (up to 300 to choose from), special glass and integral blinds (fitted within the double-glazed units). 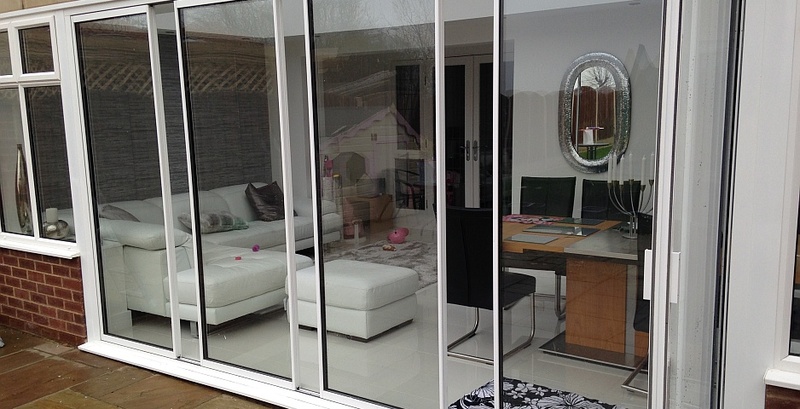 Quick Quotation Request Form – for a comparative quotation of all our doors. 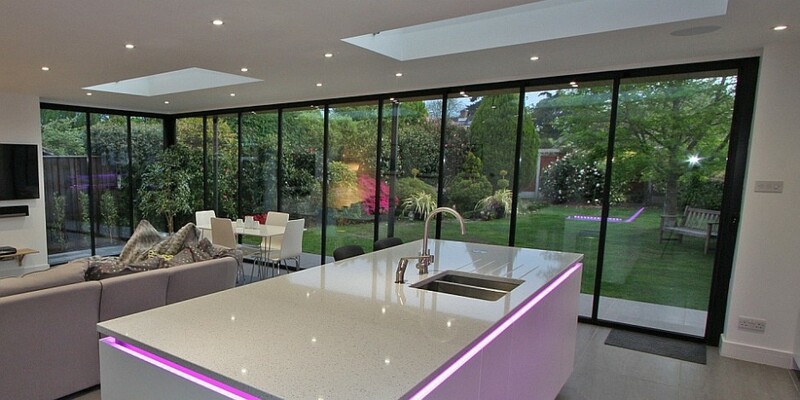 If you’re still undecided, contact our technical sales team with your questions, on 01582 492 730.